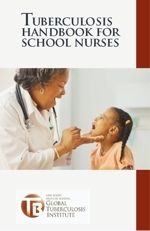 This handbook has been prepared for school nurses, who can play an integral role in the screening and management of children with LTBI and TB disease. The booklet includes a section on TB fundamentals as well as suggestions for applying them in a school setting, including provision on DOT and working in collaboration with community providers in both the public and private sectors. The handbook was updated in 2015 and includes information on an additional treatment regimen. This material is available on-line only.